How to get Quick Money during an Emergency Situation? We do not have ready cash at our hands all the time. In the financial conditions of the modern world, savings are next to impossible. Fuel costs are on the rise, groceries are becoming expensive with every passing day, and utility bills are soaring too. With your bank balance not being enough, how do you expect to fix an emergency that requires a big amount of money immediately? What will you do if you do not have enough time to wait until your next wage comes in? In this post, we will take a look at a few ways that can land you with some quick money and help you tackle a critical emergency situation with ease. A home equity loan is the most preferred method of getting some fast cash in the US. This loan will allow you to borrow money against your home’s value only if it is more than what you own on it. A home equity loan normally has a low interest rate, and can be applied for, even with a bad credit score. In some cases, moreover, the interest costs on this loan are tax deductible. The most common reasons for going for a home equity loan are usually covering the purchase of a second home, paying for the higher educational charges of a family member, and renovating or remodeling the existing property. The second most popular way of getting fast cash in the US is if you own a car and title loan firm nearby. 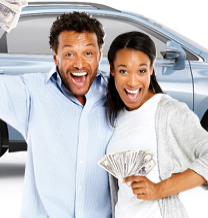 This loan will allow you to borrow money from a lender by temporarily surrendering him the title of your car. The loan process is simpler and faster than the home equity loans. Lenders do not even mind if you are down with a bad credit score. Moreover, numerous lenders charge a very small rate of interest too. The most common reasons for borrowing a car title loan are usually covering the purchase of another car, and paying for the illness or health issues of a family member. If you have valuable items like electronic gadgets and gold or silver jewelry at your home, then you can borrow some fast cash in return of keeping your belongings as collateral. Contact a well-reputed local pawnshop, and it can help you out by borrowing you some money in exchange of your valuables. Take this loan seriously though! Your belongings will be owned by the pawnshop if you fail to pay back the amount within the stipulated amount of time. You can also opt for a signature loan if you do not have anything to offer as collateral. The lender does not have any belonging of yours to own forever. This is the reason why this loan is also termed as ‘Unsecured Loan’. However, the lender holds the power to ding up your credit by reporting against you in the credit companies. Moreover, you need to be careful before going for this loan as the interest rates are usually higher because of the risk factors involved. In these 4 ways, you can borrow some quick cash and get yourself out of trouble without much hassle. About the author: Cayla Silverstone lives in San Diego, California. She is a full-time blogger. In this post, she is talking about some easy ways like cars and title loans and home equity loans that can help you get fast cash during an emergency situation.